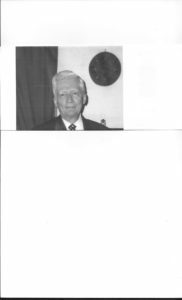 G erald R. Cook passed away on December 2, 2018 at The Meadows in Rutland, VT.
Born M ay 18, 1931 in Granville, New York, Gerald was the son of Royal B. and Mary Emma (Gibson) Cook. He attended elementary and high school in Granville and graduated from Granville High School in 1948. Gerald then attended Mohawk Valley Technical Institute in Utica, New York and later the University of Buffalo in Buffalo, New York where he received a Bachelor of Science degree in Electrical Engineering. Upon graduation, Gerald was employed by the New York State Electrical and Gas Corporation in Binghamton, New York. In 1960 he moved to Vermont and joined the Central Vermont Public Service Corporation (now Green Mountain Power) and was employed for over 40 years in rate setting. During his tenure with CVPS he was able to travel to Riga, Latvia twice to consult on electrical rate setting. Gerald enlisted in the military in December 1950 and served 4 years in the United States Air Force during the Korean conflict for which he received both a Good Conduct medal and National Defense Service Medal. He was a Past Master of Rutland Lodge No. 79 F&AM, former Selectman of the Town of Clarendon, Vermont for a period of 6 years, and for many years was the Treasurer of the CVPS Employee’s Credit Union. He was a long-time member, and past Senior Deacon, of the Grace Congregational United Church of Christ in Rutland, Vermont. He is survived by his three children: son Daryl W. Cook of Pownal, VT (Kim, four children and five great grand-children), a daughter Brandi G. Barclay of Rutland, VT (daughters Emma and Alexis), and daughter Shannon C. Matteson of Big Flats, NY (children Grady and Gabriella); and a sister, Claudine, of Latham, NY. The memorial service will be held Monday, December 10, 2018 at 1 PM in Grace Congregational United Church of Christ, with the Rev. John C. Weatherhogg, senior minister, officiating. A collation will follow in the Church Parlor. Burial will be in Evergreen Cemetery. In lieu of flowers, memorial contributions may be made to the Alzheimer’s Association VT Chapter, 300 Cornerstone Dr., Ste. 130, Williston, VT 05495; or Rutland County Humane Society, 765 Stevens Rd., Pittsford, VT 05763. Arrangements are by Tossing Funeral Home.